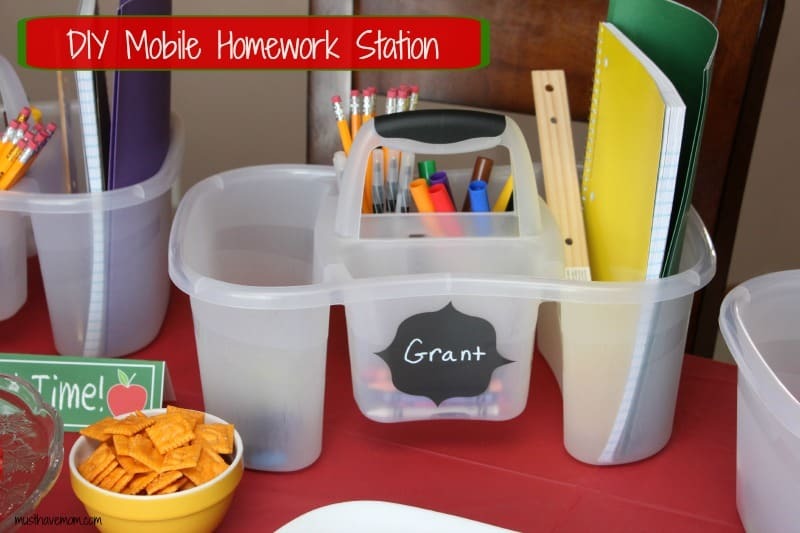 Set your kids up for success this year by providing them their very own mobile homework station. 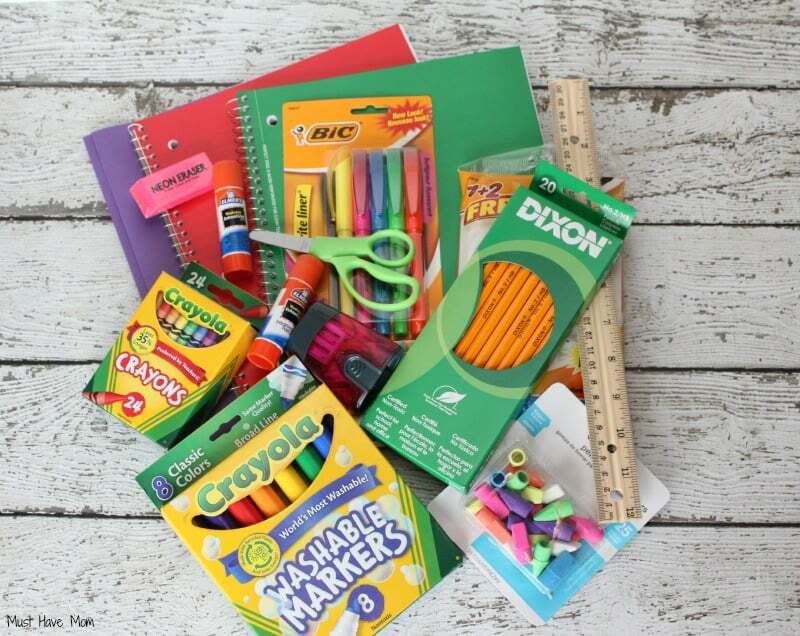 Something they can take wherever they go and have all the tools necessary to complete their homework right at their fingertips! 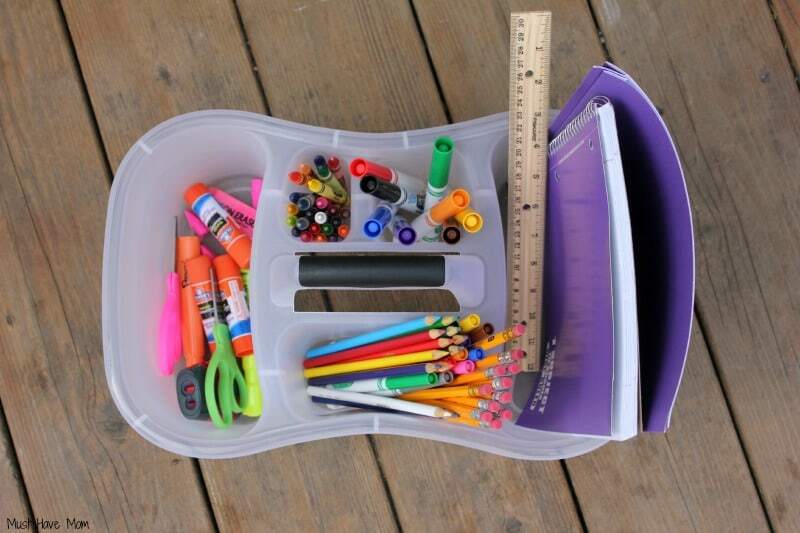 This is the perfect homework kit to create and stow away when not in use. 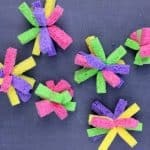 We made these at our back to school party and they were a huge hit with all the kids! You’ll need a shower caddy which I found at Walmart in the storage bin aisle with all the plastic totes. It’s made by Sterilite and they call it a shower caddy. It was around $3. 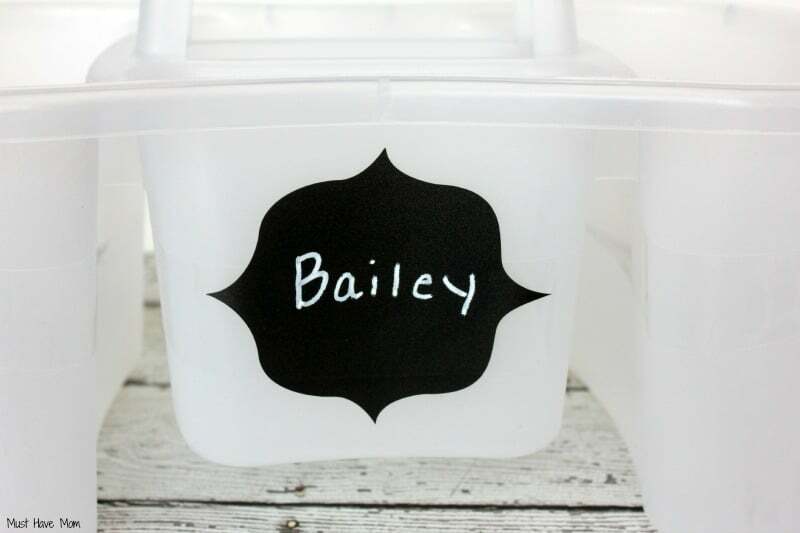 You’ll also need these chalkboard labels ($10 for a sheet) from Kidecals and a chalk marker. The labels are waterproof and you can wipe them clean and re-chalk as many times as you want! They are excellent quality and I also use them in my pantry for my pretty glass jars and mason jars! I loaded up my homework kit with everything my first grader would need to complete her homework with. Markers, crayons, pencils, erasers, glue sticks, scissors, pencil sharpener, notebooks, folder, highlighters, ruler and a timer so she would know when she could be done or take a break. Tailor your kit to your child’s grade level. 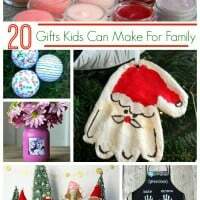 You might also add things like calculators, graph paper, etc for older kids. Apply your chalkboard label and write the child’s name on their kit with your chalk marker. Then fill up your kit with all the supplies. 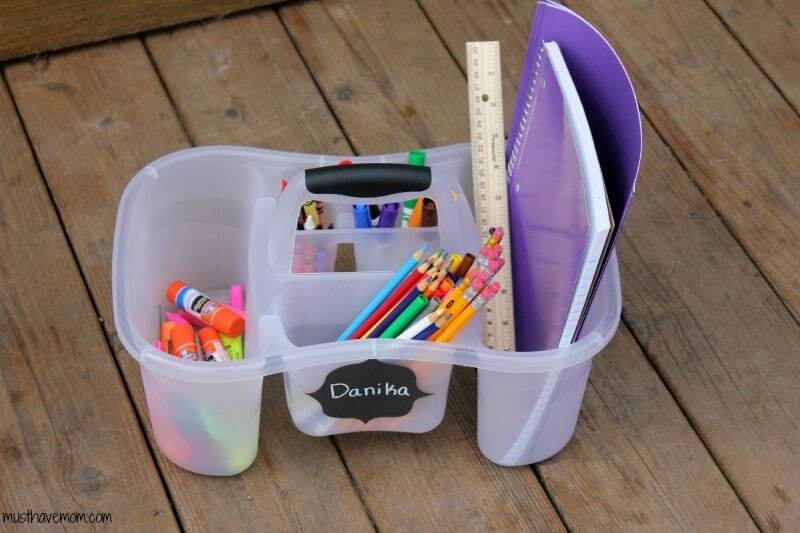 I love this caddy because it has separate compartments that work perfect for markers, crayons, etc. The handle makes this kit ideal for carrying from room to room. Now when your child has homework there will be no whining that they can’t find what they need in order to complete it! 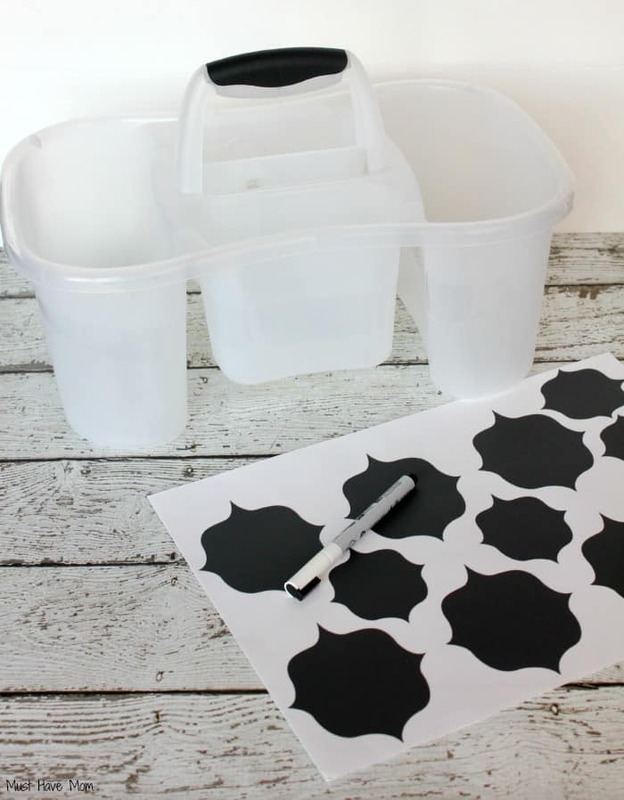 Check out Kidecals for all their labels which are perfect for back to school! My readers can get 15% off your order by using the Kidecals discount code: fashion at checkout! Are you all prepared for helping your kids with homework? 60% Off Dawgs Coupon Code + How To Snag Boots, Leggings & A Cardigan for Under $60! 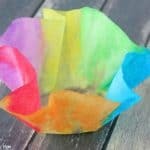 Easy 3 Step DIY Paper Bowls Kids Craft Idea! I need to do this! Our homework station is VERY disorganized! 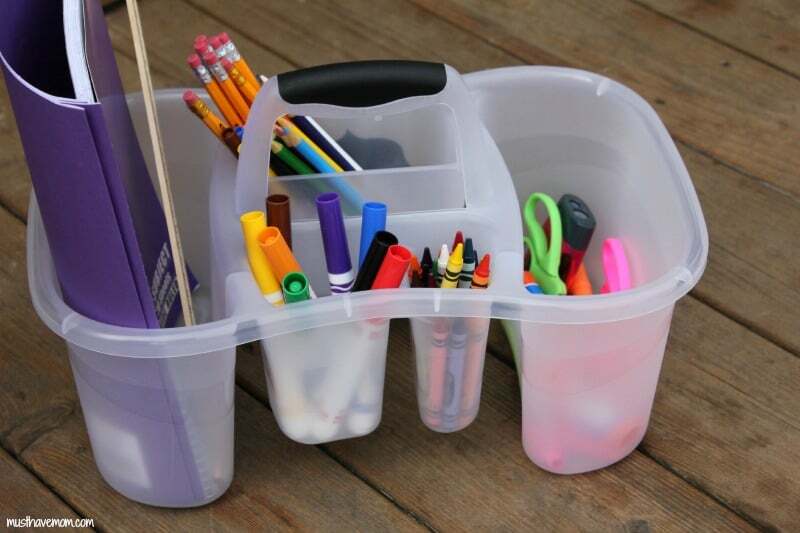 this is a great way to stay organized. I know thats the key to working efficiently for a lot of kids. thanks for the idea!